Housing Up is recognized as a leading nonprofit affordable housing developer in the District of Columbia. Since 2010, we have developed or preserved 372 units of housing for low-income families, all of whom have incomes below 60% of the area median income (AMI). Fifty-four of our units house families with incomes below 30% of AMI. In addition to our current portfolio, we plan to add several hundred units of affordable housing to DC’s housing stock over the next few years. We are committed to building safe, vibrant communities by providing mixed-income affordable housing with resident services. In 1993, Housing Up opened Partner Arms I (PA1) as a transitional housing facility for 14 formerly homeless families in DC. Housing Up adopted a new strategic vision and direction in 2004 which expanded our work in the housing continuum from solely transitional housing to include the development of permanent housing. As a result, we converted PA1 to Permanent Supportive Housing (PSH) in 2009 for chronically homeless families with a diagnosed mental or physical disability, a history of domestic violence, or chronic illness. At PA1, families have access to stable housing, a dedicated case manager and community-building events in the community room and on-site gardens. 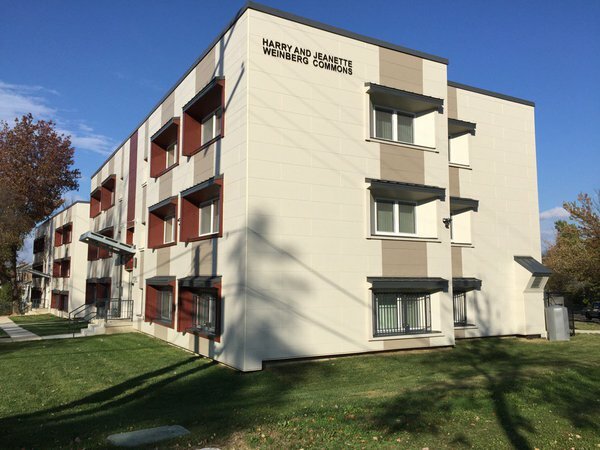 In January 2015, Housing Up completed the most recent renovation of PA1. The rehabilitation and renovation was financed through a $715,000 Housing Production Trust Fund (HPTF) loan, a $126,000 capital grant from the Department of Behavioral Health (DBH), and a $1.12 million mini-perm loan from Local Initiatives Support Corporation (LISC). The conversion of PA1, our oldest property, from transitional housing to PSH created a successful model for taking older, legacy Housing Up facilities and converting them to more affordable, permanent housing solutions for families. Partner Arms II (PA2), a three-story multifamily apartment building on Georgia Avenue, NW, is one of Housing Up’s oldest properties. 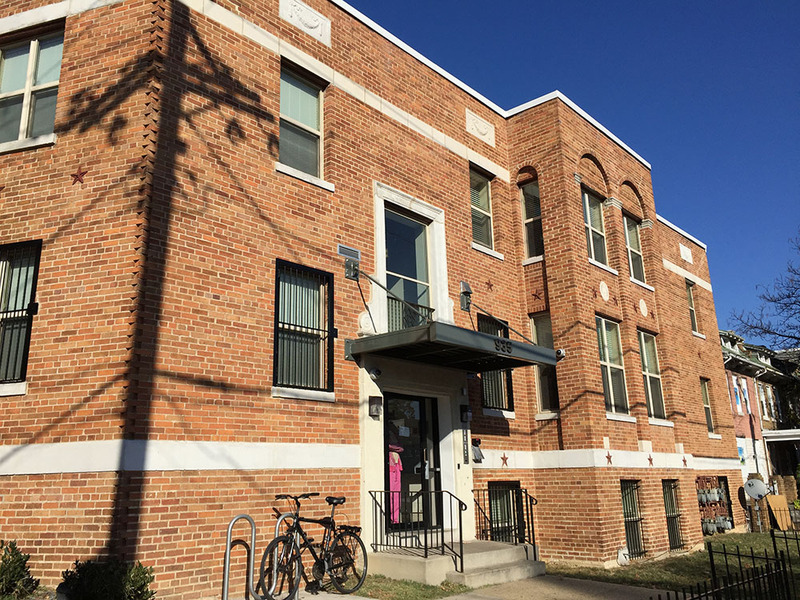 Constructed in 1924 and acquired by Housing Up in 2001, PA2 has operated as transitional housing for formerly homeless families until our recent rehabilitation and structural remediation project, completed in February 2019. PA2 provides 12 units of permanent supportive housing (PSH) to formerly homeless families. Permanent supportive housing serves chronically homeless families with mental or physical health disabilities. Our PSH program is based on the Housing First model, which focuses on quickly moving families experiencing homelessness into permanent housing with leases in their own names, and then providing support services. Renovations included weatherproofing the building envelope, structural remediation (helical piers), and replacement of outdated systems, equipment, and exteriors (e.g., roofing, exterior doors, windows, etc.). This renovation replicated our blending of DBH, DHCD and private (LISC, TD Charitable Foundation, Holy Trinity Catholic Church) capital funding sources, and utilizes the Local Rent Supplement Program (LRSP) to render rents affordable for our residents. New residents of PA2 have upgraded kitchen countertops, cabinets, and sinks, as well as new bathroom accessories and hardware. Energy efficient lighting, HVAC equipment, and appliances have also been installed; the final renovation is compliant with Enterprise’s Green Communities guidelines. Partner Arms III (PA3) provides 13 units of transitional housing to homeless families. As affordable housing has become increasingly scarce in the District, we have recognized the importance of permanent housing as the most effective way to end chronic family homelessness. Our focus, in alignment with DC and federal government strategic plans, has shifted away from transitional housing to more permanent housing solutions. We plan to convert our current transitional housing property to permanent supportive housing programs, to better serve families experiencing homelessness. *Partner Arms III is owned by the DC Department of Human Services. Housing Up has provided services at the location since 2008. In 2011, Housing Up and partner Somerset Development Company completed renovation of six deteriorated buildings, creating two beautiful mixed-income communities: Fort View and Webster Gardens. Fort View is located in the Brightwood neighborhood of Ward 4 just across from the historic Fort Stevens. The development involved substantial renovation of two vacant blighted buildings into 62 units of affordable housing. These buildings have been placed on the National Register of Historic Places. Our decision to undertake these renovation projects coincided with the global financial crisis of 2008. 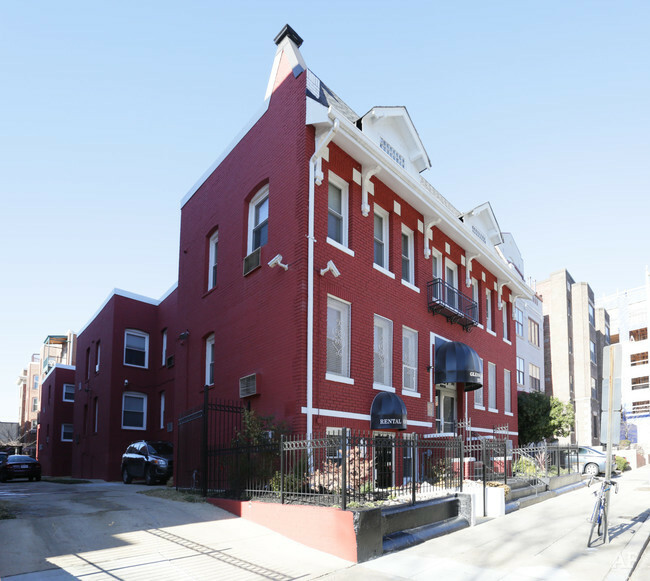 In response, we pieced together an intricate financing package with 24 sources including DC Housing Finance Agency (DCHFA) bonds, 4% Low-Income Housing Tax Credit (LIHTC) equity, a Housing Production Trust Fund Loan (HPTF), TCAP and Historic Preservation Tax Credits. Two-thirds of the units at Fort View are for low- and moderate-income families and one-third are reserved for families that are considered extremely low-income. Families at Fort View Apartments have access to resident services, which include job and education training, youth enrichment, community building, health & wellness, and tenant education. With the help of a dedicated team of volunteers, our resident services team conducts youth tutoring at Fort View every Monday and Wednesday evening. Webster Gardens, a 52-unit apartment complex, is located in the Petworth neighborhood of Ward 4 near the Old Soldier’s Home. This historic building was the first garden-style apartment building in Washington, DC, designed by Allen E. Walker in 1921. Housing Up and Somerset Development’s renovations restored and preserved the historic character of the four-building complex, abated the extensive environmental hazards that previously existed and provided new community space to facilitate resident services. 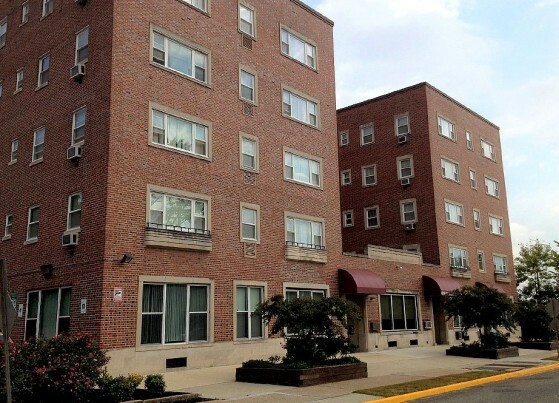 Additionally, Webster Gardens was updated with more efficient heating and cooling systems, kitchens, and baths. Through the Low-Income Housing Tax Credit, the project preserved affordable housing for the 28 original Webster Gardens households, many of whom are seniors, and secures affordability for them in the future. Clients at Webster Gardens have access to resident services, including employment services, youth enrichment, community building, health & wellness, and tenant education. Youth tutoring is conducted every Tuesday and Thursday evening, with the help of a dedicated team of volunteers. The Harry and Jeanette Weinberg Commons is an innovative, PHIUS+ certified apartment community that combines state-of-the-art energy performance features with affordable rents and a range of supportive services for low-income and formerly homeless families. Weinberg Commons is the first multi-family passive building retrofit project in the country. The project’s solar panels and energy efficiency translates to no utility expenses for the families that call Weinberg home. Weinberg’s energy efficiency also leads to savings in our operational costs, which allow us to keep rents below market rate. Weinberg Commons won the award for Best Affordable Housing Project and an Honorable Mention for Best Multifamily Project at the 2017 Passive Projects Competition, hosted by Passive House Institute US (PHIUS). This project represents Housing Up’s capacity to effectively execute transactions with intricate financing structures to produce an award-winning project. 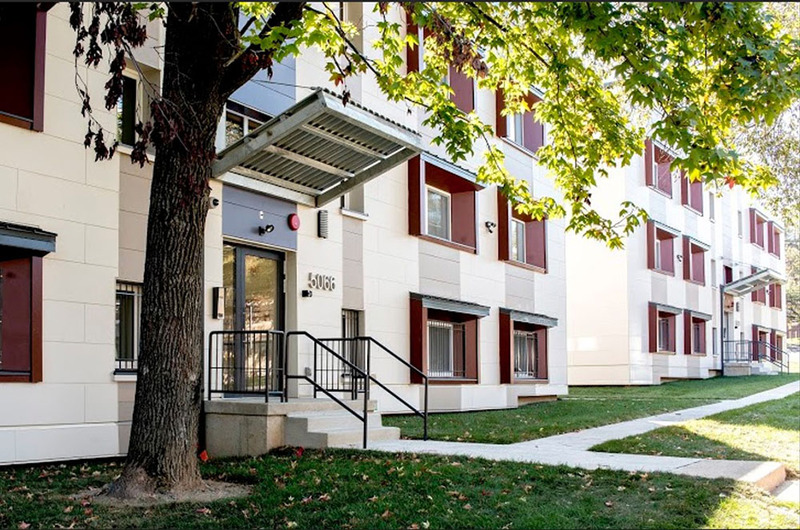 Combining DC’s Department of Housing and Community Development (DHCD) tax credit financing, Department of Behavioral Health (DBH) capital grant funds, and DC Housing Authority funds (LRSP), Housing Up completed the project, which features exemplary sustainability and affordability practices, in November 2015. Twelve units are reserved for very low-income PSH families exiting the District’s shelter system. Housing Up provides on-site supportive services for these families. The other 24 units are reserved for households earning less than 60 percent AMI, for whom less intensive resident services, such as youth and continuing education tutoring programs, are provided. Glenn Arms is a 55-unit historic multifamily community located in the vibrant and rapidly-growing neighborhood of Adams Morgan in Northwest Washington, DC. The site has two residential buildings constructed in 1910 and 1916. Housing Up, in a joint venture with Security Properties, recently completed a 10-month preservation project that modernized unit interiors and common areas, updated all major building systems, and provided two additional units and a new community room. The renovation rendered Glenn Arms ADA-compliant, and included a host of energy efficiency upgrades. The financing of the project was made possible through historic tax credits, the Housing Production Trust Fund and LIHTC equity. The renovation also enhanced the historical integrity of the building, qualifying Glenn Arms to be included in the National Historic Registry. To learn more, read the press release on the project. 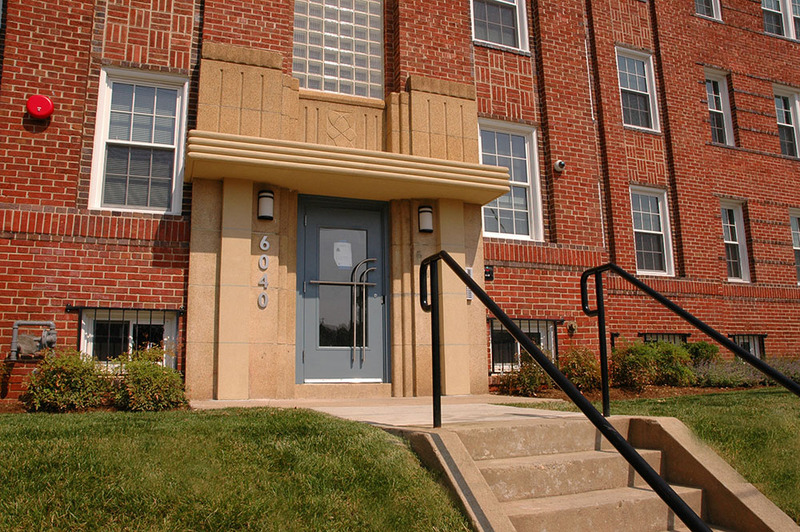 Hedin House Apartments is a 48-unit affordable housing community located in Washington, DC. Hedin House was constructed in 1956 and renovated in 1973. The property houses senior and disabled residents with all units being income-restricted at 60% of Area Median Income (AMI). In a joint venture with Security Properties, Housing Up is preserving this expiring-use project through tax credits and the HPTF. The renovations will modernize all major building systems and to enhance the visual appeal and functionality of both residential units and common areas. A new community space and computer room will be added for residents. Other improvements include new kitchens, baths, windows, flooring and appliances; electrical, plumbing and HVAC improvements; a new green roof; and ADA accessibility enhancements. The renovation is expected to be complete in fall of 2018. 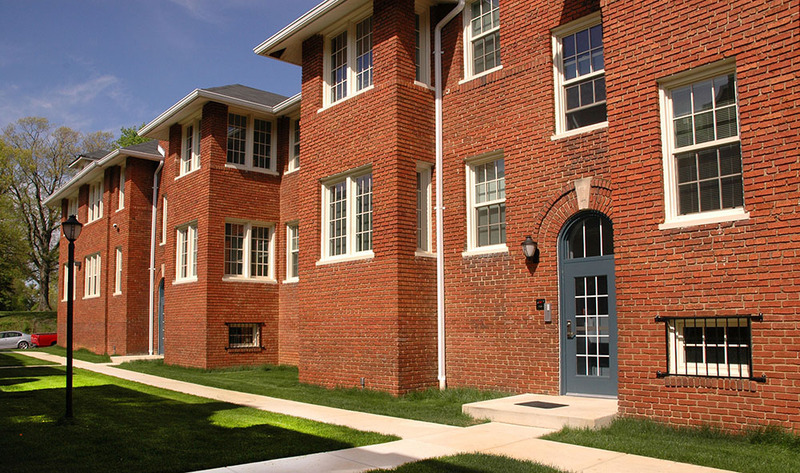 Housing Up partnered with the Walter Reed development team of Hines, Urban Atlantic and Triden Development Group to develop senior housing on the former Walter Reed campus, now known as The Parks at Walter Reed. Abrams Hall Senior Apartments will provide 80 units of affordable senior housing. Sixty-four units will target seniors below 50% area median income (AMI), and the remaining units will target seniors below 30% AMI. 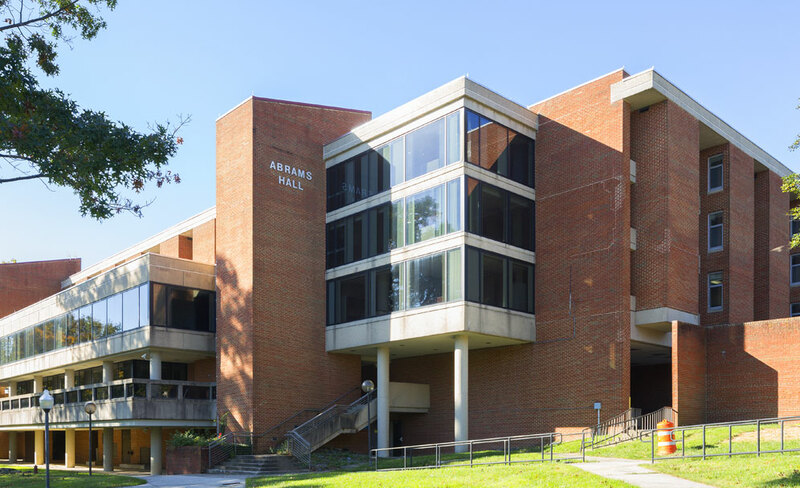 Abrams Hall will also be home to Housing Up’s new headquarters. 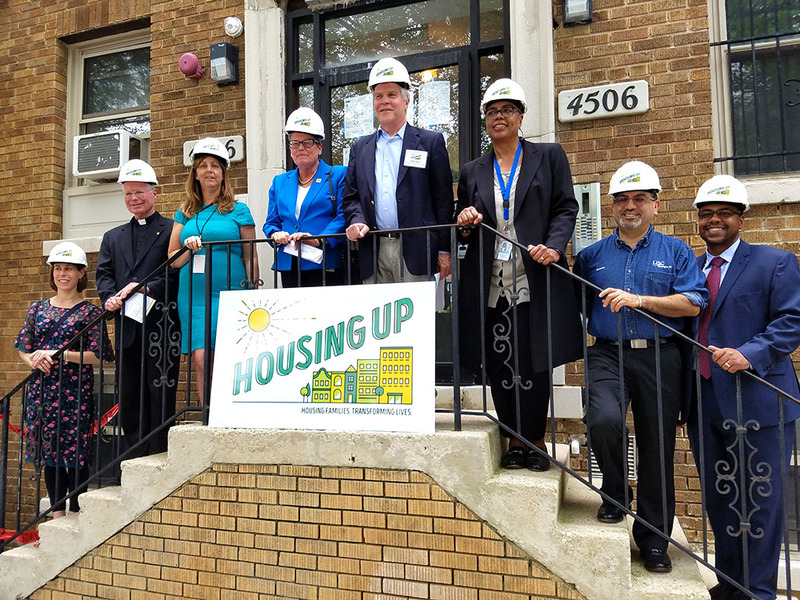 In this new space, our staff will continue to develop affordable housing, and provide case management, training, and resources to the close to 600 homeless and low-income families we serve throughout Washington, DC. Housing Up will also support the operations of Abrams Hall Senior Apartments, consulting on resident services and asset management. We broke ground on the project on July 16, 2018, and construction is expected to be complete by fall 2019. Learn more about the project and The Parks at Walter Reed.